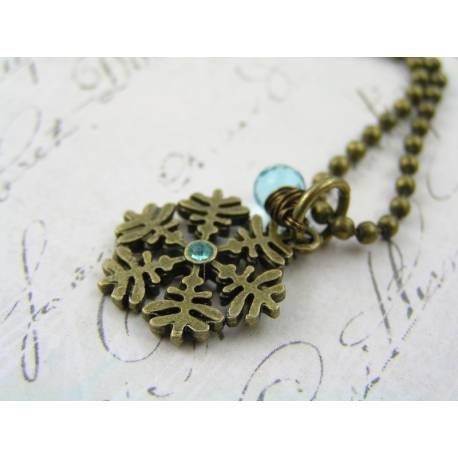 This is a cute snowflake necklace, the charm is hand set with a sky blue crystal. I have added a matching wire wrapped blue genuine Cubic Zirconia teardrop shaped bead to add some sparkle to the pendant. 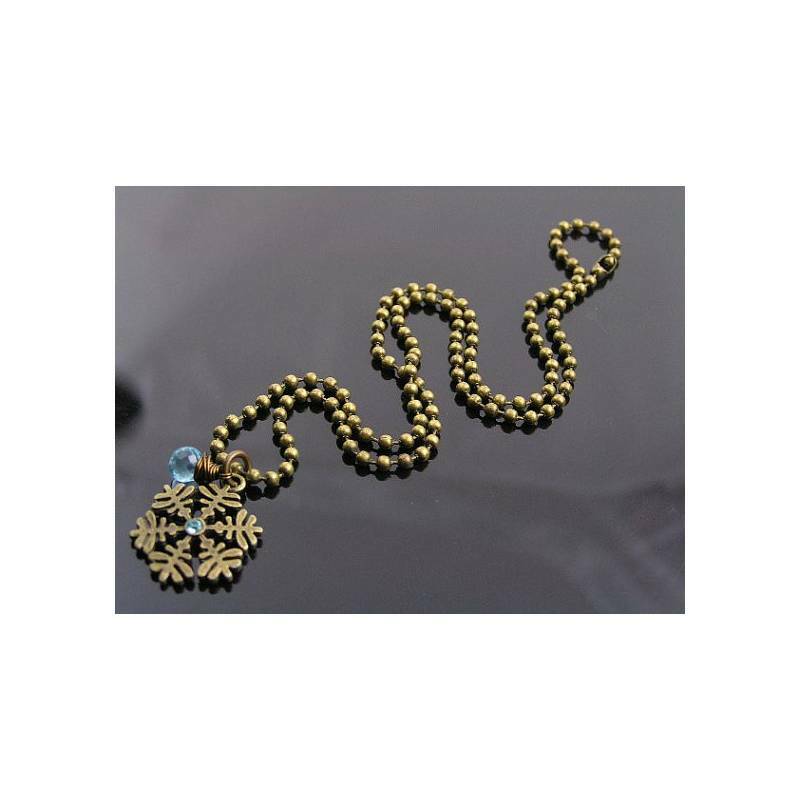 The chain is a sleek ball chain, measuring 42cm in length. The pendant including bail ring adds another 2.5cm. 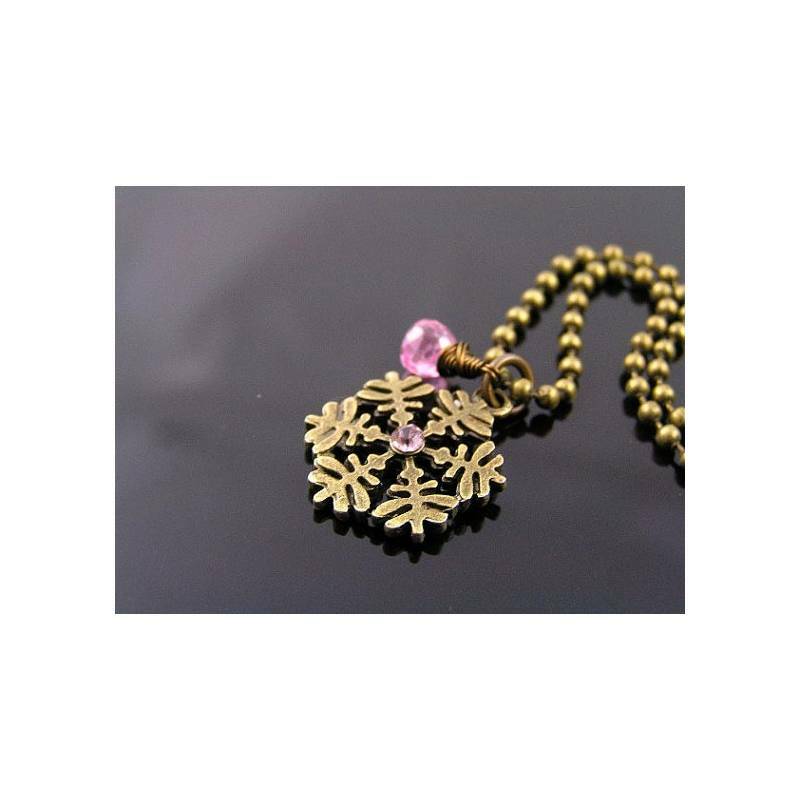 The last photo shows the pink version, also available. Please leave a note in the 'message to seller' during checkout if you prefer the pink version, otherwise I will send the aqua blue necklace.